High resolution, low distortion, high performance lenses. Variable magnifications by a simple one-touch operation. 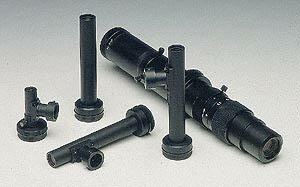 Wide selectable magnification range: 0.2X - 9.0X. Suitable for surfaces assembly, machines inspection for LCD or WAFER. 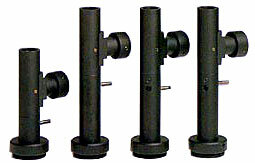 A telecentric optical system allows to work with minimal image focusing variations (the image size change). 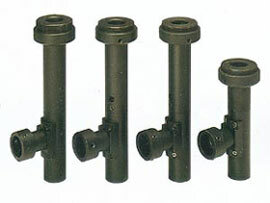 These CCD macro objectives with fixed focal for fixed reproduction scales are available with or without unity of axial carving light. 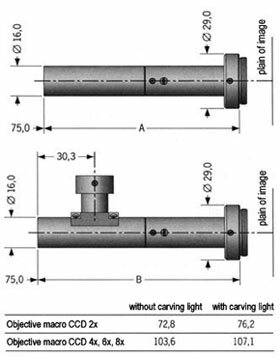 The unity of carving light allows a lighting completely deprived of shades also in narrow cavities, since the light of an optic fibers cold luminous source is projected on the same trajectory as the observation ray, parallely to the optic axis.